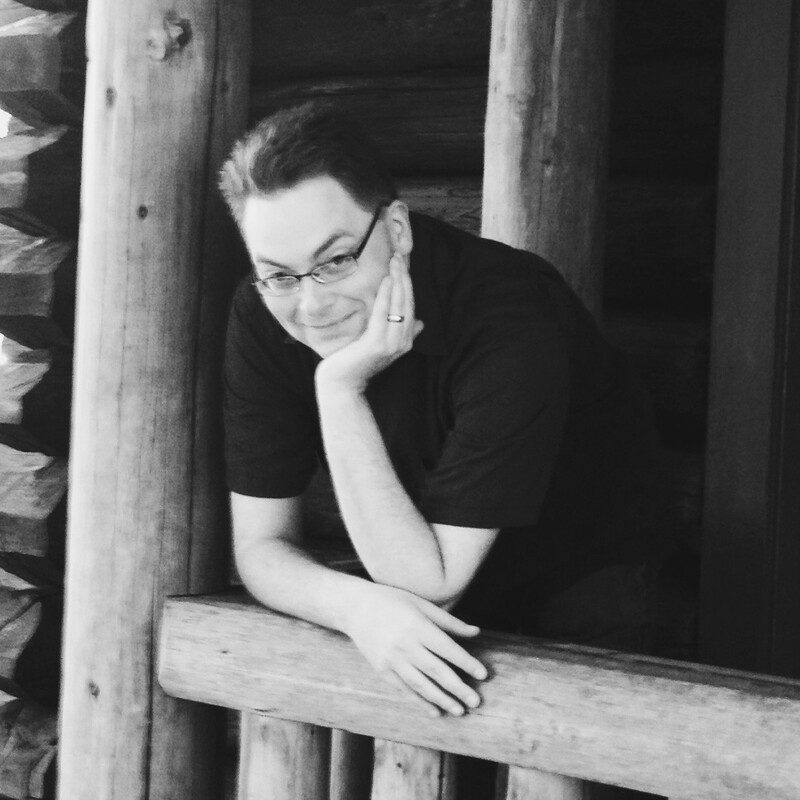 Before I ever met Chris Carey, our mutual friend Pierce Watters told me we’d get along for several reasons, not the least of which was a shared interest in Pulp-era fiction and a non-debilitating academic background. When we finally met at PaizoCon in 2010, I felt as if I already knew him well, but I regretted we had so short a visit. 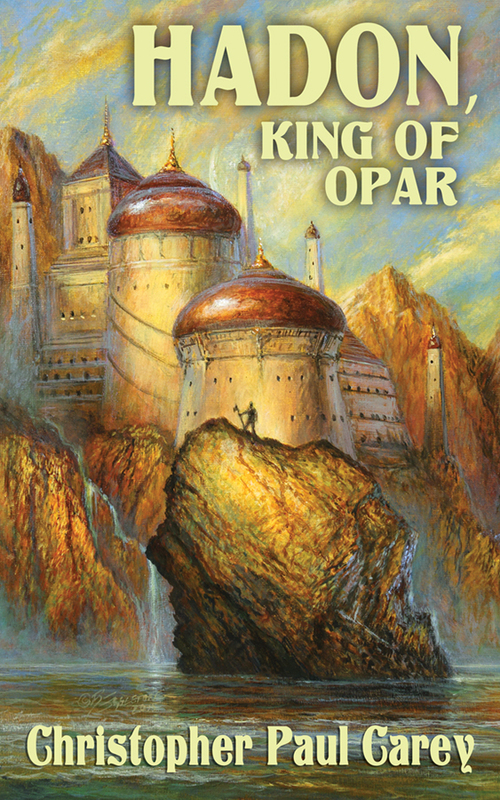 By day Chris is an editor at Paizo, but by cloak of night he continues the adventures of Hadon of Opar, a hero created by the legendary Philip Jose Farmer. 1. I first discovered Philip José Farmer though Doc Savage: His Apocalyptic Life, which probably wasn’t the best portal. How did you first encounter his work? And which would you recommend as a great starting place for newcomers? I came upon Phil’s work through the gateway of Edgar Rice Burroughs. From the ages of twelve to sixteen I devoured just about every novel of Burroughs’s then published, and early on during that period I discovered Farmer’s Tarzan Alive: A Definitive Biography of Lord Greystoke and Hadon of Ancient Opar on the bookstore shelves, both books being inspired, of course, by the works of ERB. I bought those up, along with the first volume in Farmer’s World of Tiers series, The Maker of Universes. I read the latter first and was immediately sold on Farmer’s writings. I think it’s a good place to start if you like adventure-based science fiction. But for the more groundbreaking work by Farmer, I might start with a novel like Night of Light or one of his short story collections. Farmer’s skill at writing short fiction is often overlooked. Well, I’m going to guess Monk Mayfair, since isn’t he everyone’s favorite aide? Monk is the wise-cracking, hot-tempered, rough-and-tumble member of the group, who also happens to be one of the world’s most brilliant chemists. He serves as a welcome contrast to the rational, often Spock-like Doc Savage and provides a lot of humor by digging into his simultaneous rival and (in secret) closest friend, Theodore Marley “Ham” Brooks, the dapper lawyer of the group. Almost a Radovan and Jeggare thing, wouldn’t you say? I read all of the original Doc Savage novels back in the day, and I was honored to contribute an essay to the deluxe hardcover edition of Farmer’s fictional biography on the Man of Bronze, Doc Savage: His Apocalyptic Life. I also loved Farmer’s Doc Savage novel Escape from Loki, which has many facets to it that often go unnoticed, because Phil liked to bury the bone deep. I’ve read little of [Doc Savage creator] Lester Dent’s work in recent years, though as far as pulp goes, my childhood love of Edgar Rice Burroughs is still as strong as ever, and I find the works of H. Rider Haggard to be much more rewarding to read in my adult years than I ever found them to be when I was a teenager. Haggard wasn’t a pulp writer, of course, though he often gets lumped in with the genre, as does Farmer. It’s true that Farmer’s first story was published in Adventure, and his next few appeared in Startling Stories and Thrilling Wonder Tales, but that’s just a technicality. I regard him very much as a modern, and if I had to label him based on his output, I’d probably put him in with the New Wave. I should add that I don’t read only pulp. If you want to have breadth and depth as a writer, in whatever your chosen niche, you shouldn’t limit yourself as a reader. That goes both ways, I think. Don’t be too heavy all the time or too light. 3. Can you describe the process of collaboration with PJF and how your approach changed (or didn’t) after his death? When Phil was still with us and I was completing his manuscript to The Song of Kwasin, the third novel in the Khokarsa (aka Ancient Opar) series, I had the golden opportunity to ask him questions. “How would you like the novel to wrap up, since this is the conclusion of a thematic cycle?” “How would you feel if I added this or that?” “You have this or that in your outline, but over here in one of the prior novels in the series you say this contrary thing. How about if I reconciled it like so?” Phil was retired from writing at that point, and his health was in decline. I received more feedback toward the beginning, when he was feeling better. He let me know what he wanted to happen at the end of the novel, and told me to drop certain elements from his original outline because he no longer thought they worked. But he also told me to do what I thought best for the novel. That was simultaneously a huge confidence builder and terrifying. I mean, this is the guy who transformed the face of science fiction with his story “The Lovers.” I touched base with Phil while I was in the process of writing, sending him batches of chapters, which his wife read aloud to him, and visiting him at his home in Peoria to let him know how the manuscript was progressing. Hearing back from Phil and his wife Bette that they loved what I was doing with the story provided probably the biggest morale boost I’ll ever get as a writer. After Phil, and then shortly thereafter Bette, passed away, the process of continuing to write installments in the Khokarsa series was the same, but without having that golden opportunity to ask him questions. I’m a pretty much a purist when it comes to the established continuity and strive to remain in the spirit of what went before in the series. So I do a tiring amount of research and fact-checking for each story. But I also know that Phil was a big believer in innovation as a writer. He was disappointed with the lack of creativity in some of the shared-world stories that were spun off of his own work during his lifetime. When I asked Phil what his single most lasting impact on science fiction was, he responded, “Giving younger writers the courage to come forward with new ideas as I did with ‘The Lovers.’” I’ve taken that advice to heart and keep it in mind while I’m working on the stories in the series. Thus, in my novella Exiles of Kho, a prelude story set eight hundred years before the main series, I was more comfortable adding some new major elements to the mythology. Khokarsa is a matriarchal society, and yet in the original novels by Phil, we never get to see anything from the viewpoint of the priestesses or learn any of their esoteric secrets. So I chose for my protagonist the priestess-heroine who discovered the valley of Opar, and we finally get a glimpse of some of the hidden knowledge and inner workings of the temple of Kho, the Mother Earth goddess. In Exiles of Kho and the upcoming Hadon, King of Opar, I also address the topic of prejudice in a society that permits slavery. This will play out even more in Blood of Ancient Opar, which is due out next year. These are topics that I’m sure Phil would have tackled had he been able to continue the series, and I try to think of how he might have come at them from unexpected angles that also would have been appropriate to the continuity. 4. Since you’re a fan of “Pulp” fantasy, what’re a couple of lessons contemporary fantasy authors can learn from the masters? That is, one thing we should do more like them, and one thing they did that we should never try. Don’t be afraid to let tradition inform your writing, but don’t let it restrain, limit, or blemish your work either. In other words, embrace the mythic structure and modes of the storytelling of those masters, but move them forward either without the prejudice on display in those earlier works or by addressing that prejudice directly. 5. Now that you’ve written in the Pathfinder setting, for which you’ve been an editor for years, how much do you feel your insider status helps and/or hinders you creatively? In terms of writing for the Pathfinder campaign setting, it mostly only helps, since I have a legion of experts within earshot every day I’m at the office. Of course, that’s also hugely intimidating. But when you’re writing shared-world fiction, you either get a thick skin and learn how to work creatively within an established framework, or you don’t do it. The idea that writers of mainstream and other genres outside of science fiction and fantasy aren’t limited by the boundaries of setting is ludicrous. To write a meaningful story, you need to have things you can do in the story and things you can’t. To do otherwise, well… let’s just say that’s not a story I’d be interested in reading. Because the number of limited-edition copies is determined by pre-order, you can and should pre-order Hadon, King of Opar from Meteor Press right this minute. That is, by the end of June. And you can follow Chris on Twitter.